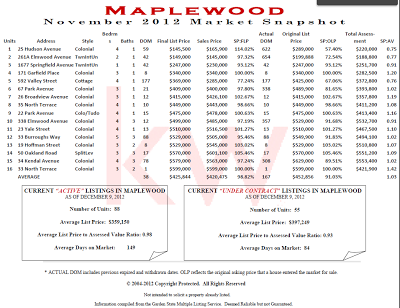 Moving to Maplewood: How do you do a proper search for a home? As the internet continues to make more and more information available to all of us, there is no doubt that it gives us all a little empowerment. If you are a Realtor, like I am, you may initially be fearful of losing your ability to find clients that will chose you as their agent. There is one way to even the playing field: Know your market, Demonstrate your knowledge and experience and provide added value for your clients! One example is that I often find is that potential buyers search for homes on sites like Zillow and Trulia; I love these sites and I am also a Premier Agent for both of these companies. However, these sites often have outdated information that leads to the impression that homes that are no longer actually available are still on the market. This can lead to frustrated buyers, so I highly recommend that they be put on local MLS automatic email campaigns that show new homes as they occur, updated status and price on homes previously identified and then also provide a weekly snapshot of every home that is active that falls within the parameters set by the buyer. Now, here is a more tricky (and real life) example that comes up at least 5x per year. 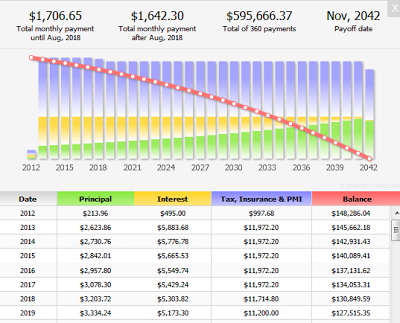 You get an idea of how much you can afford to spend on a home, but your search is relegated to price and size without taking the taxes into consideration. While you might expect the playing field to be level, your search can be dramatically impacted by the amount of taxes reported on the various homes. Selling a Maplewood/South Orange/Millburn/Short Hills area home involves many steps and having an experienced Maplewood New Jersey Real Estate Agent and Realtor®, specializing in the Bedroom Communities of New York City in Essex/Union County--Millburn, Short Hills, Montclair, West Orange, South Orange, Livingston, Maplewood, Springfield, Summit, Madison, Chatham, Scotch Plains, Fanwood, Cranford and Westfield--by your side, he will make the transaction run a lot smoother. I would love to be your Maplewood/South Orange New Jersey Area Real Estate Professional! I assist both buyers and sellers in the Bedroom Communities of New York City, mostly served by NJ Transit’s Mid-Town Direct Train Lines, offering commutes of 45minute or less to NY Penn Station, with either the purchase and or sale of residential real estate. 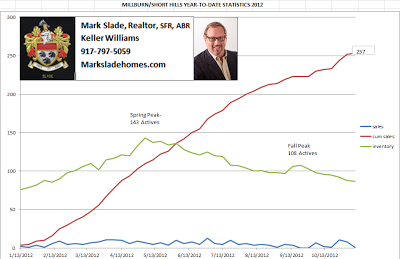 With Mark Slade as your Maplewood/South Orange/Millburn/Short Hills/Essex/Union County New Jersey listing agent I am well versed as your local expert in all things in the Maplewood and South Orange area Real Estate Market. You can expect personalized service that includes a detailed consultation on how to best position your Mid-Town Direct home to be competitive in today’s market with training to provide my clients with an in-depth Advanced Comparative Market analysis, and advice on staging. As my office’s technology officer as well as both a Zillow Platinum Premier and Trulia Premier agent, I use the latest and most up-to-date marketing methods to get your home in front of as many buyers as possible. Being your New Jersey Real Estate Agent and Realtor ® not only involves just finding the home or selling the home, but being your guide, negotiator, advisor and advocate and making sure that your needs and goals are met. Being your New Jersey Essex/Union County area Realtor® (with a little bit of Morris County thrown in for good measure) is one of my truest passions, and “Helping You Find Your Dream Home” is my number one priority. 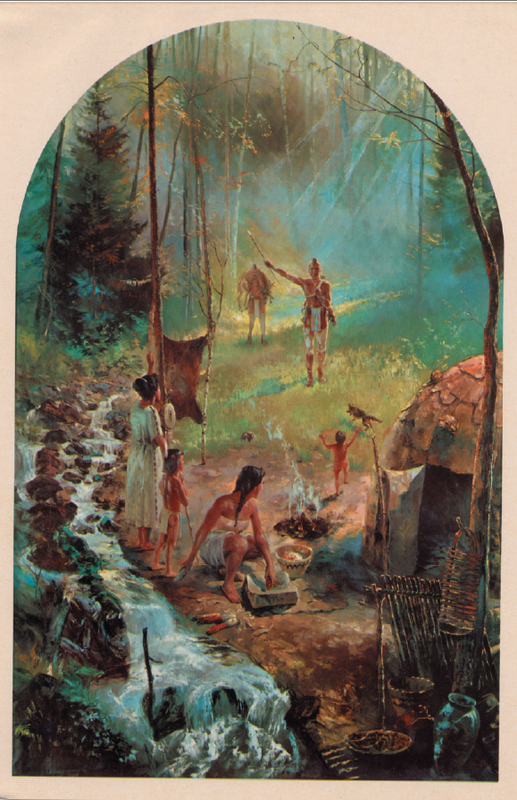 When surveying the area now known as Maplewood back in 1666-1667, Robert Treat found several trails used by Lenape tribes of Algonquian Native Americans, though there was only sparse pre-European settlement. These paths form the basis for what are the town's main thoroughfares today. The first European settlers arrived around 1675, primarily English, Dutch, and French Puritans who had earlier settled Hempstead, Long Island, and Stamford, Connecticut, via Newark and Elizabeth. They had acquired most of today’s Essex County from the Native Americans and followed three trails that roughly correspond to South Orange Avenue, Springfield Avenue, and Ridgewood Road. These three routes resulted in three separate communities that merged into Maplewood and South Orange. Maplewood is privy to having 8 homes built before and up to the Revolutionary War in 1776; compared to 35 Pre-Revolutionary Homes built in South Orange. Those who came from Newark on the trail that now corresponds to South Orange Avenue settled the area that became South Orange Village. Six families (with last names of Smith, Brown, Pierson, Freeman, Ball, and Gildersleeve) came up today’s Ridgewood Road and established scattered farms around a center that became Jefferson Village, named after Thomas Jefferson. This village, which roughly corresponds to downtown Maplewood today, developed several mills and orchards. 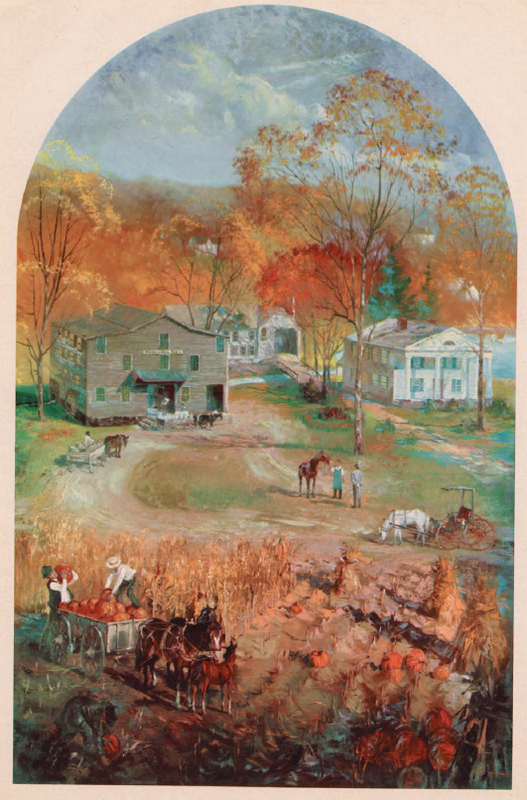 John Durand, the son of Hudson River school painter Asher Brown Durand (who was born in Maplewood in 1796), describes the place as a picturesque but slightly backwards community with close ties to Springfield. The apple harvest was apparently quite impressive and included “Harrison” and “Canfield” varieties. By 1815, there were approximately 30 families in the village. Although the residents of the area were predominantly Presbyterian, the first house of worship was a Baptist chapel in 1812. This was in use until 1846 and fell into disrepair until 1858, when it was taken into use as a Methodist Episcopal church. Those who came up today’s Springfield Avenue settled on a hill crest near today’s intersection between Tuscan and Springfield Avenue and established a hamlet known as North Farms. Over time, this community became known as the Hilton section. It became a stagecoach stop between Newark, Jersey City (then Paulus Hook), and Morristown and thereby a center for trade and light manufacturing. The village changed its name from North Farms to Middleville in 1830, and then to Hilton in 1880 when it was granted a post office. In 1855, Seth Boyden settled in what was then Middleville to retire but innovated a number of agricultural products, especially berries. Boyden also built and put into operation the first steam engines to service the railroad through Maplewood. The area became known for its orchards and related industries, including cider mills and distilleries of rum, but also honey and some livestock. In 1802, Jefferson Village and North Farms were named as districts under the Township of Newark. 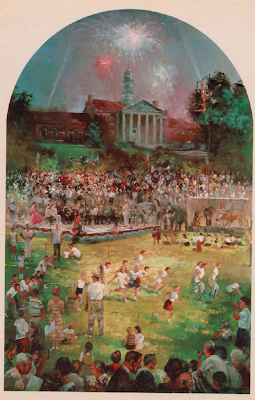 The three communities operated independently, each establishing their own school associations: South Orange established the Columbian School in 1814, which would form the basis of Columbia High School; North Farms established the North Farms Association in 1817; and Jefferson Village the Jefferson Association in 1818. In 1867, when the State of New Jersey established public education through the School Law, the newly appointed County Superintendent merged the three associations into one school district, which was formalized in 1894 as the South Orange-Maplewood School District. James Ricalton, a teacher born in Waddington, New York of Scottish parents, set the high standard of education that persists in the school district to this day. Ricalton was later honored with the self-named park in the center of what is now Maplewood Village. Maplewood was originally formed as South Orange Township, which was created on April 1, 1861, from portions of Clinton Township and what was then the Town of Orange. The name of the township was changed to Maplewood on November 7, 1922. When the Morris and Essex Railroad from Newark was extended to the area in 1838, a land speculator by the name of John Shedden built a railroad station in Jefferson Village and named it Maplewood. This name came to comprise areas known as Hilton, Jefferson Village, and areas previously part of Springfield. In 1868, farms were divided into parcels for residential housing. The 1920s saw significant growth in new residents and structures, foreshadowing a complete suburb. This same train line would later be extended due to the engineering prowess and support of Seth Boyden, who would come to develop a locomotive that could traverse the “short hills” of NJ. Seth Boyden would later be honored by the town by naming one of its elementary schools after him. Theodore Roosevelt spent several summers in Maplewood visiting his uncle Cornelius V.S. Roosevelt’s home and property, known as The Hickories, covering 100 acres. This area is now partly covered by Roosevelt Road and Kermit Place. When the Morris and Essex Railroad from Newark was extended to the area in 1838, a land speculator by the name of John Shedden built a railroad station in Jefferson Village and named it Maplewood. This name came to comprise areas known as Hilton, Jefferson Village, and areas previously part of Springfield. In 1868, farms were divided into parcels for residential housing. The 1920s saw significant growth in new residents and structures, foreshadowing a complete suburb. Many of the most recognizable buildings and spaces were the work of famous architects and landscape designers. Most of the schools and the Municipal Building were the work of Guilbert & Betelle. The center of town is dominated by Memorial Park, a design of the Olmsted Brothers. The same Olmsted firm collaborated on both NYC’s Central Park and Brooklyn’s Prospect Park and was also responsible for the landscaping at the Ward Home, designed by John Russell Pope, and now known as Winchester Gardens—an assisted living complex--located on Elmwood Avenue. On the opposite side of town is another Olmsted work, South Mountain Reservation. The South Mountain reservation is home to 2 dog parks, hiking paths, picnic areas and even a waterfall or two. 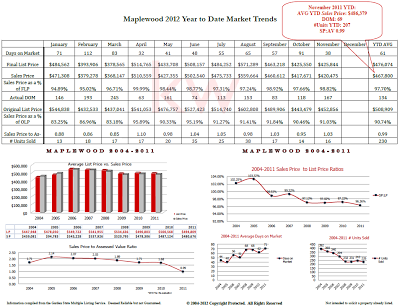 There are approximately 226 streets covering 60 miles within Maplewood. One thoroughfare, Springfield Avenue, is a state highway (Route 124, from Irvington to Morristown), and four thoroughfares (Valley Street, Millburn Avenue, Irvington Avenue and Wyoming Avenue), are Essex County roads. However, what sets Maplewood off from most of its sister towns is that its central business district on Maplewood Avenue is not located on one of the township’s thoroughfares; this makes downtown village a destination and it is often referred to as the jewel of Maplewood. What also makes it so enjoyable is that within the context of the downtown village, we have a little green area named Ricalton Square, home to our town clock and several events around the year, with Dicken’s Village being the most heralded event during the month of December. Working with friends has its privileges and one example was last week's invite to see Sound of Music at Millburn's Paper Mill Playhouse from my friend Suzanne Ishee. Suzanne and I work for Keller Williams as local Realtors, but after last night (taking nothing away from her success as a Realtor) I would tell her to quit her day job after seeing her perform. 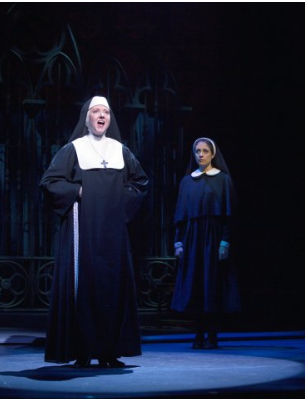 Her voice in the role of Mother of the Abbey was nothing short of spectacular and my ears are still positively abuzz with her rendition of "Climb Every Mountain." Seeing another Maplewoodian performer, Hunter Kovacs, was also a wonderful bonus. So, if you are local this Winter Break, GO SEE SOUND OF MUSIC, you won't be disappointed! Finding a House that you will call your Home. There are a variety of approaches to finding a house that have proven successful. Each buyer has requirements that must be satisfied, but often people are unclear about their priorities until the search process has resulted in making some tradeoffs. Most people start their search with a general notion of what cities they like, often because they are aware of which cities offer the best schools, the best downtown shops and restaurants or a certain commuting time to/from where they work. We suggest that if there is an attribute that you absolutely must have, such as commute length or highly-rated schools, you find out where the best train stations are and where the best schools are, and use that information to limit your choice of search areas. 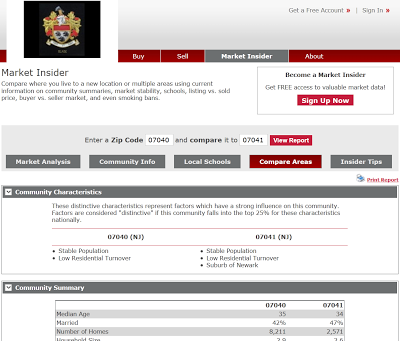 My website offers MARKET INSIDER which provides convenient access to town-specific demographics/schools and more as well as allowing you to even compare towns (actually zip codes) to one another. While most searches also include key attributes like price range and number of bedrooms, etc., you need to let me know if there are other characteristics that you would like to have, perhaps having a first floor powder room or a master suite or having good view. I make it a practice, as a buyer agent, screening homes for you so as not to waste your time. However, the best agents can add extra value in letting their clients know when it might be simpler to add a powder room or some other feature in an existing home rather than holding out for the home that already has them. Experience has shown us that buyers commonly start by choosing to search in anywhere from a couple of towns to several towns--especially when searching for a home in the Bedroom Communities of NYC, offering commutes of 45 minutes to NY Penn Station--that they think will likely satisfy their needs, and then narrow the search to their favorite town then neighborhoods. This can work well, but may not offer the array of choice or the ideal match to the client that the attribute-based method does. Whichever initial process you use, the next step is to familiarize yourself with the selected areas. Your agent will be familiar with local neighborhoods and can save you time by helping you eliminate areas that have little promise of meeting your requirements, but ultimately, you will have to get in the car and both physically visit a number of properties in various areas before the tradeoffs will become clear. The convenience of everyday activities needs to be evaluated in different areas. How long does it take to get to work? Can the kids walk home from school? Are there good cafés, restaurants, libraries, parks, etc. nearby? When you view listings on a home search website, the proximity to such things is conveniently tabulated. In the process of familiarizing yourself with different neighborhoods, you will probably go to quite a few open houses (I offer many town-specific Open House websites to help) and also visit a selection of properties with your agent, before you are in a position to be serious about making an offer. I believe that it is essential for buyers to become extremely knowledgeable about the neighborhoods in which they plan to buy. You can expect that if you chose me as your agent, I will invest considerable time in helping you develop that knowledge. Lastly, while everyone’s focus is on Finding the Right Home, there is as much if not more effort that goes into the project management process that will take you from making the offer to sitting at the closing table and taking possession of your new home. Once again, you have my commitment that I will do whatever it takes to help guide you, while trying to make the process understandable, comfortable and rewarding to you. We moved to Maplewood, NJ 9 months ago, and there's a super active chapter of Mothers & More here. It's truly been a lifesaver for finding a really active playgroup for my 2-year-old and I've made some great friends through it. Perhaps we just lucked out with our group dynamic, but we always have at least one playgroup a week; we've also done moms' night out and dinner parties with the kids at peoples' houses. There's also a very active town website/message board which has also been great for meeting people in real life, and also great for getting general town information (it was invaluable during the hurricane). I wasn't aware of these strong online networks in Maplewood/South Orange before we moved, but these have made such a difference for me as a SAHM-Stay At Home Mom--in a new town. If we were to move again, honestly, moving somewhere that had an active online network would certainly factor into our decision. Once kids are in school, I think it's much easier to meet people. But for now, it's important. I'm actually much happier in the suburbs than I was in Brooklyn, and finding networks of people has been a huge part of that. The adjustment to the suburbs is definitely surprising, but it can also be really great. Living in Maplewood: Bea is BACK! 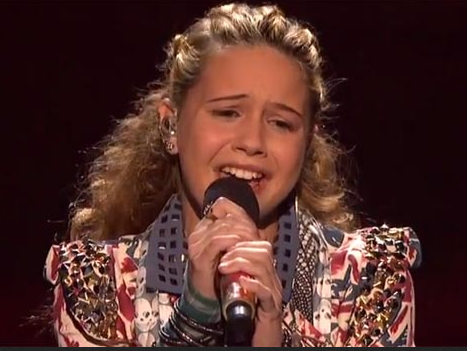 For those of you that followed Bea Miller on her X Factor voyage, you need to know that Bea will be joining the set on tonight's finale to sing for us one more time! 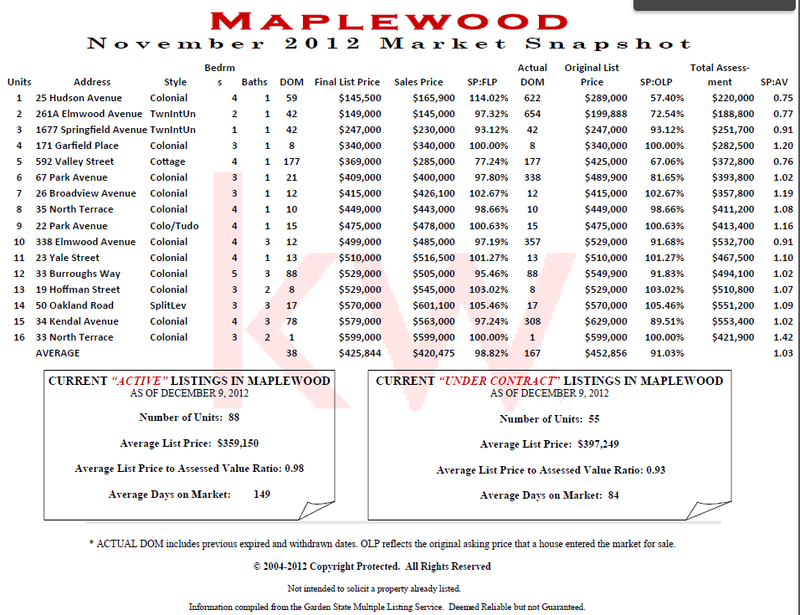 Maplewood has had 244 closed sales this year-to-date with 5 of these homes selling for just about $1 Million and/or over. 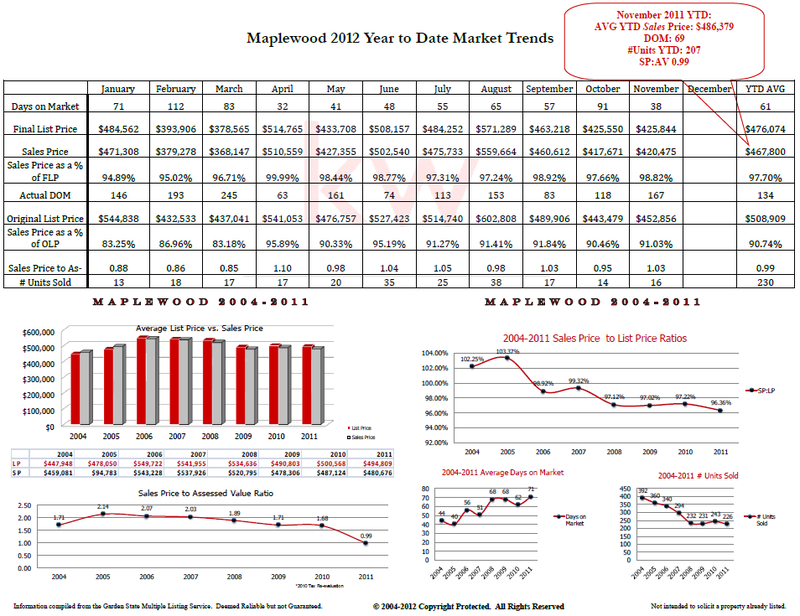 Last year, Maplewood only had 233 sales and not a single home was listed nor sold for over $1,000,000. 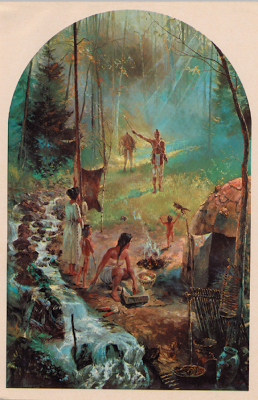 Glen Ridge traces its beginning to 1666 when sixty-four Connecticut families led by Robert Treat bought land from the Lennilenape Indians and named it New Ark to reflect a covenant to worship freely without persecution. The territory included the future towns of Bloomfield, Montclair, Belleville, and Nutley. When Bloomfield seceded in 1812, Glen Ridge was a section "on the hill" composed mostly of farms and woodlands with the exception of a thriving industrial area along the Toney's brook in the Glen. For most of the nineteenth century, three water-powered mills produced lumber, calico, pasteboard boxes and brass fittings. A copper a sandstone quarry and mine were nearby. 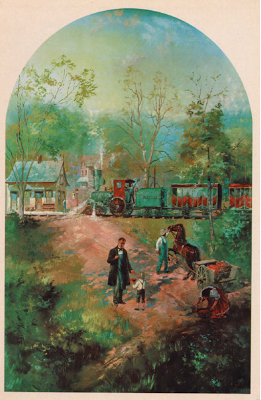 With the arrival of the Newark and Bloomfield Railroad in 1856 and the New York, Montclair and Greenwood Lake Railroad in 1872, Glen Ridge began its transition to a suburban residential community. Stately homes slowly replaced orchards and wooded fields. Residents "on the hill" became unhappy with their representation on the Bloomfield Council. In spite of repeated requests to Bloomfield officials, roads remained unpaved, water and sewer systems were nonexistent, and schools were miles away. In 1895, the stage was set for succession by several men on the third floor of the Robert Rudd's home on Ridgewood Avenue. They marked out the boundaries of a 1.45 square mile area to secede from the adjoining town. At the February 12, 1895 election, the decision to secede passed by only twenty-three votes. Robert Rudd was elected the first mayor of Glen Ridge. 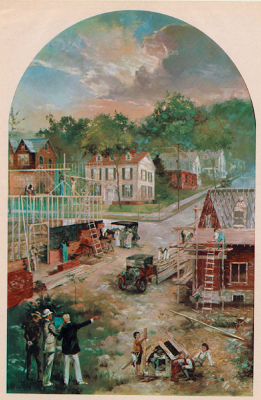 Glen Ridge was incorporated as a borough by an Act of the New Jersey Legislature on February 13, 1895, from portions of Bloomfield Township, based on the results of a referendum held the previous day. In 1981, the official name was changed to the "Township of Glen Ridge Borough" to take advantage of federal revenue sharing policies. 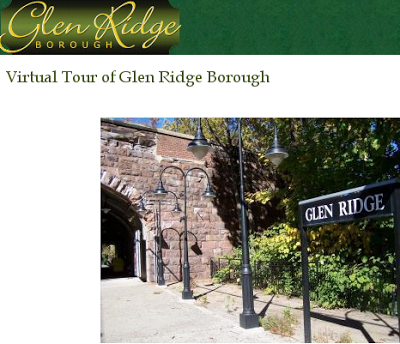 Effective May 1993, the borough's original name of "Glen Ridge Borough" was restored. The Glen Ridge School system gets 9's across the board from GreatSchools.com. 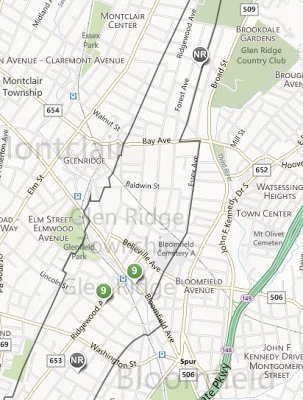 Glen Ridge contains 4 primary and secondary schools. One of the best schools is Glen Ridge High School, with a rating of 9. 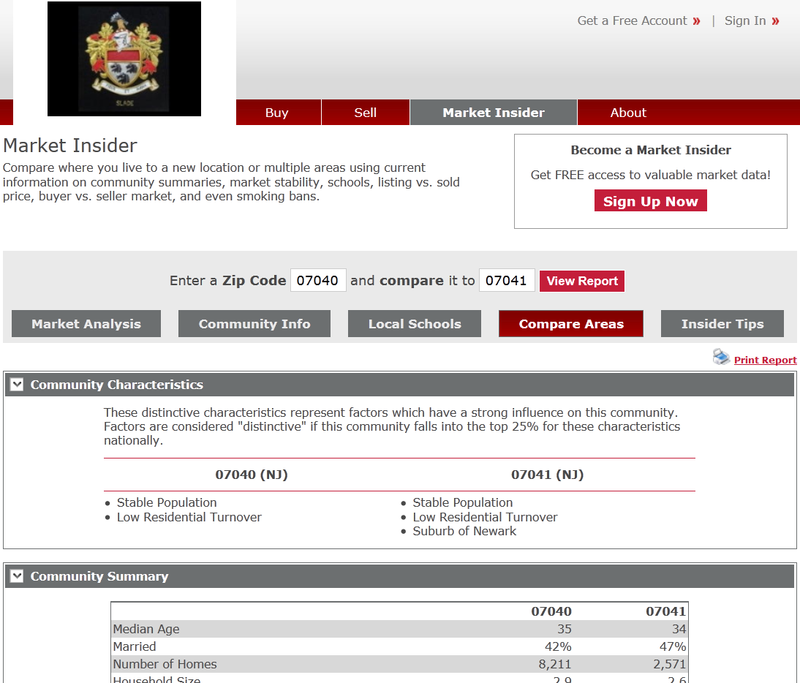 Glen Ridge High School has 782 children. Public schools in Glen Ridge are in Glen Ridge School District. Bloomfield Township School District is close by and rates worse than Glen Ridge School District. Nearby Montclair School District is worse, with a rating of 7. 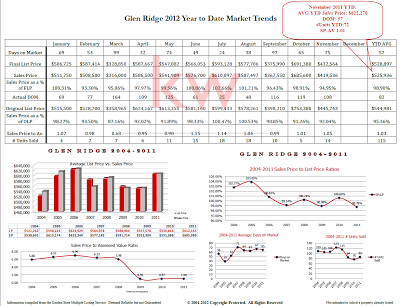 Glen Ridge's population contains 7,658. 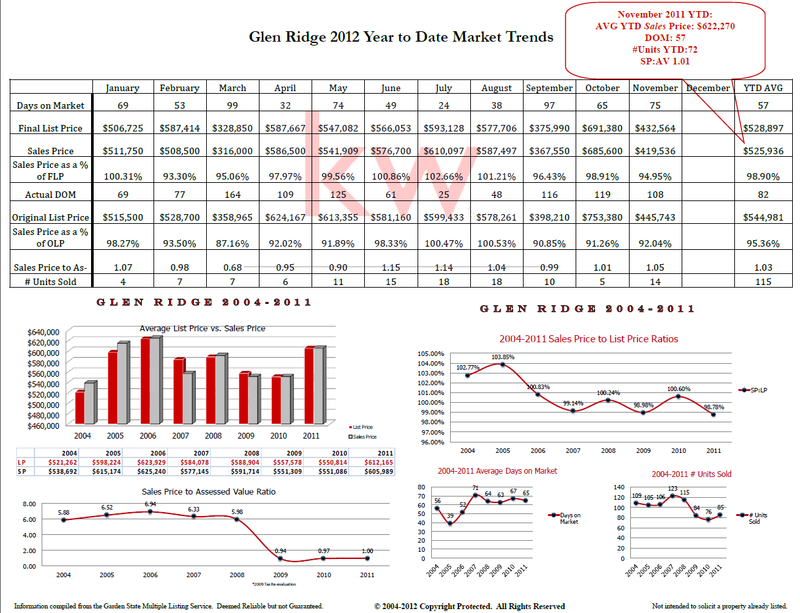 Glen Ridge School District enrolls 0.2% of the population of Glen Ridge. Selling a Glen Ridge/Montclair/Millburn/Short Hills area home involves many steps and having an experienced Maplewood New Jersey Real Estate Agent and Realtor®, specializing in the Bedroom Communities of New York City in Essex/Union County— Millburn, Short Hills, Glen Ridge, Montclair, West Orange, South Orange, Livingston, Maplewood, Springfield, Summit, Madison, Chatham, Scotch Plains, Fanwood, Cranford and Westfield--by your side will make the transaction run a lot smoother. 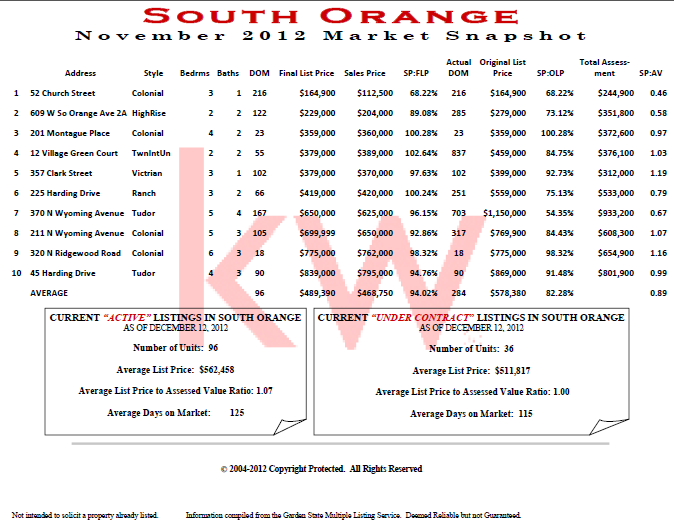 I would love to be your Maplewood/South Orange New Jersey Area Real Estate Professional! I assist both buyers and sellers in the Bedroom Communities of New York City, mostly served by NJ Transit’s Mid-Town Direct Train Lines, offering commutes of 45minute or less to NY Penn Station, with either the purchase and or sale of residential real estate. 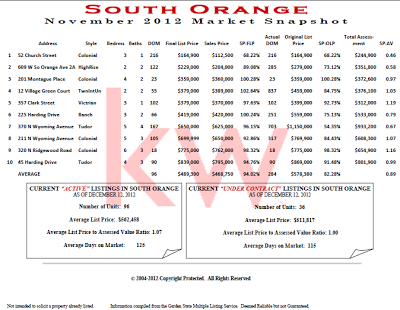 As your Glen Ridge/Montclair/Millburn/Short Hills/Essex/Union County New Jersey listing agent I am well versed on as your local expert in all things in the Maplewood and South Orange area Real Estate Market. You can expect personalized service that includes a detailed consultation on how to best position your Mid-Town Direct home to be competitive in today’s market with training to provide my clients with an in-depth Advanced Comparative Market analysis, and advice on staging. As my office’s technology officer as well as both a Zillow Platinum Premier and Trulia Premier agent, I use the latest and most up-to-date marketing methods to get your home in front of as many buyers as possible. Being your New Jersey Real Estate Agent and Realtor ® not only involves just finding the home or selling the home, but being your guide, negotiator, advisor and advocate and making sure that your needs and goals are met. Being your New Jersey Essex/Union County area Realtor® (with a little bit of Morris County thrown in for good measure) is one of my truest passions, and “Helping You Find Your Dream Home” is my number one priority. "Millburn USA: One of America's Greatest Towns"
Municipal government sponsors short video that explores Millburn-Short Hills life. "Home is where you start from," T.S. Eliot wrote — and a new video sponsored by the township government boasts Millburn is one of the greatest places to start. The short documentary, now available online at the township's new 'landing page,' MillburnUSA.com, highlights everyday life of Millburn residents from commuting on NJ Transit to school events, such as the Strawberry Festivals. The six-month project, which cost the town $20,000, shows all the activities the town has offered from this summer's "Girls' Night Out" to the Annual President's 5K Cup and concerts in Taylor Park. "I was literally blown away and I thought this is terrific," Haimoff said about neighboring town-West Orange's--video, which took a more personal approach with the mayor narrating. Longtime resident Michael Becker, of Becker Communications, supervised the making of the film with professional videographers to "increase the knowledge of Millburn but also instill even more pride in one of America’s greatest towns." Since Becker has been a resident for years, the mayor said the video captures his emotions towards the town. Along with the promotional video of the town, the company also created a new 'landing page' for the township. The site serves as a one-stop-shop for all information on township providing links to everything from the Paper Mill Playhouse to the Millburn Library. “The goal of this Millburn project we commissioned was to integrate all aspects of the township into one visual resource and display the information with great pride and emotion," Haimoff said. "We wanted our own residents to see this video and feel good about the place they live." If you are interested in moving to Millburn and/or Short Hills, don't forget to use Millburn/Short Hills Open Houses to aid in your search, a no-obligation site that provides a list of Open Houses and a Quick-Find map to help locate them. Simply put, I would never have believed this fashion executive vice president turned Realtor would ever be writing a blog that would have 50,000 hits! So, i was searching for some type of fun way to graphically reinforce this achievement and found a COLDPLAY video where there were 50,000 fans with flashlight wristbands! 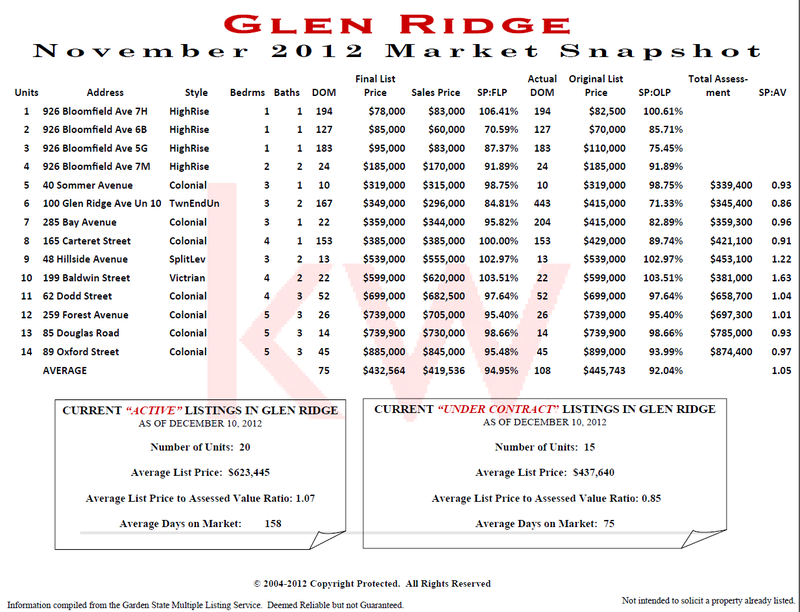 Here are the latest Real Estate Statistics for Glen Ridge. 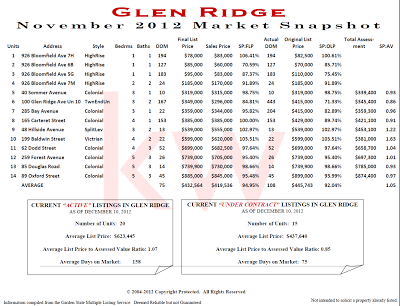 As you can see, Glen Ridge continues to be a very hot market, mostly associated with its Great Schools scores of 9's across the board. 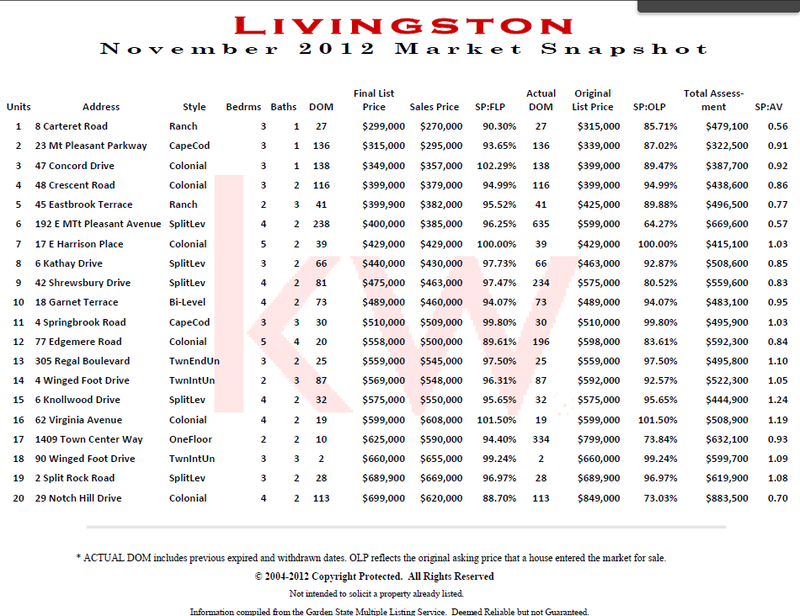 Inventory remains light,making for multiple bids and more. 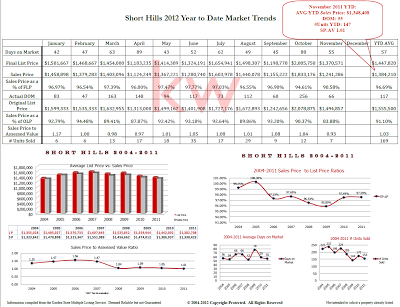 In fact, the average home sale price is 102% of asking price for the year-to-date. 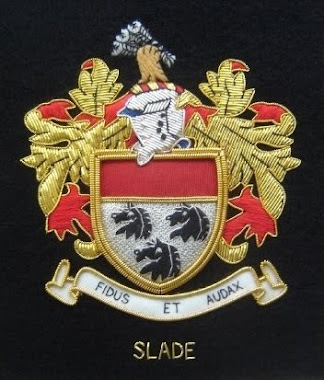 Moving to Millburn: Memories Ride Live! Wanted to pass along some info about an upcoming cycling fundraiser that Memories Live is having. Memories Live (www.memorieslive.org) is a non-profit that makes movies for individuals with terminal illnesses at no cost--all donation and foundation supported. So far Memories Live (www.memorieslive.org) has made approx. 45 movies and the average age of their clients is 52 years old. The movies are a great vehicle to empower someone at a challenging time and also wonderful gift to leave for family members. Please feel free to pass along the details of the event to anyone that might have an interest in participating or contributing. Come join the 2nd annual Memories Ride. Celebrate the joys of fitness and an active lifestyle while supporting a local non-profit! 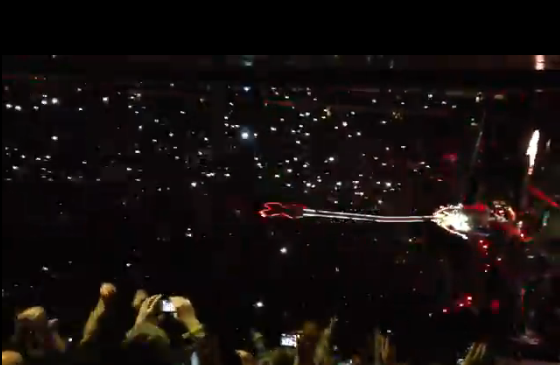 Spin to benefit Memories Live. Register as an individual or form a fundraising team! All participants receive a goodie bag. Free raffle of great products and services from local Millburn businesses. Space is limited to 45 riders. 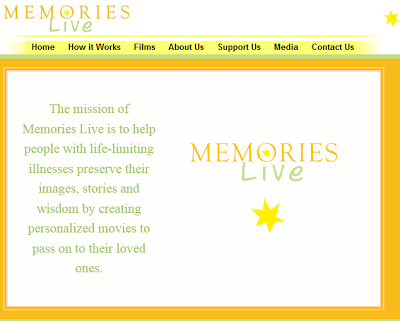 Memories Live is a 501(c)(3) Non-Profit. All donations are tax-deductible as allowed by law. $6,100 raised so far, $23,900 to go! Memories Live helps to empower those who are terminally ill allowing them to tell their stories and leave a legacy for future generations. Bo Porter holds up a Weequahic jersey that will be hung at the school in his honor. The jersey was presented to him by the co-presidents of the school's alumni association, Hal Braff and Mary Dawkins (pictured). 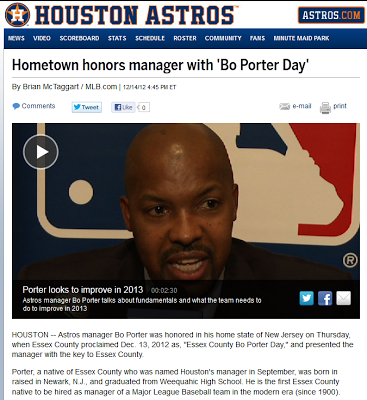 Bo Porter with Essex County Executive Joseph DiVincenzo Thursday. Marquis “Bo” Porter remembers the exact instant he decided he could be one of the tiny fraction of high school baseball players who had a chance of getting to "the show". A participant in Project Pride, an athletic program for Newark youth, Porter played in a game against a team in Puerto Rico. That game was arranged by Joseph DiVincenzo, who ran the program a quarter-century ago. Yesterday I blogged about my client and friend Omer Avital, a world reknown jazz bassist. Today, will shift to a well known thespian: Norbert Leo Butz. 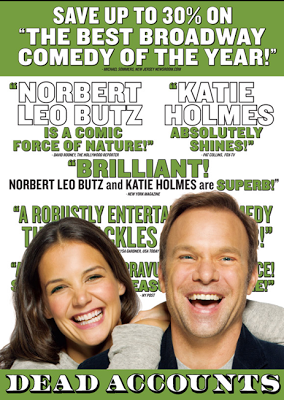 So Act now to purchase your tickets for this Funny Comedy starring Maplewood's Norbert Leo Butz. So many actors, singers, musicians and other performers chose Maplewood and South Orange for their accessibility to NYC yet they can raise their families in a charming and diversified suberb. Millburn's playhouse is nominated for fifth-annual JerseyArts.com 'People's Choice' awards. Is Millburn and the surrounding area a top arts destination? You have until Jan. 22 to decide. 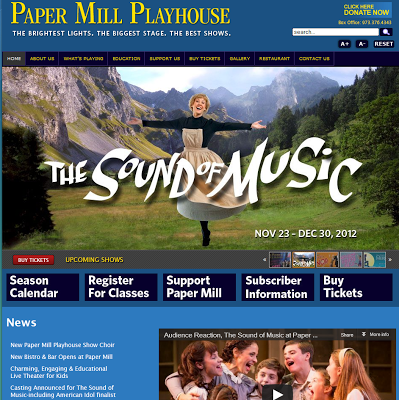 Paper Mill Playhouse was among those nominated for the fifth-annual JerseyArts.com "People's Choice" awards. "We are thrilled and humbled to be nominated for a People's Choice Award," director of press and public relations for the playhouse, Shayne Miller, said. "Musicals are what Paper Mill Playhouse is renowned for and what our theater has been excelling at for almost 75 years. It is a true joy for us to be recognized for our world-class productions." Online voting runs from Dec. 11 through Jan. 22. 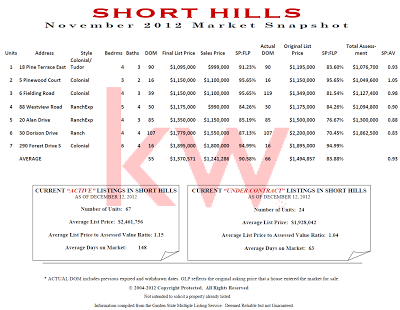 Selling a Millburn/Short Hills/Maplewood/South Orangearea home involves many steps and having an experienced Maplewood New Jersey Real Estate Agent and Realtor®, specializing in the Bedroom Communities of New York City in Essex/Union County— Millburn, Short Hills, Montclair, West Orange, South Orange, Livingston, Maplewood, Springfield, Summit, Madison, Chatham, Scotch Plains, Fanwood, Cranford and Westfield--by your side will make the transaction run a lot smoother. 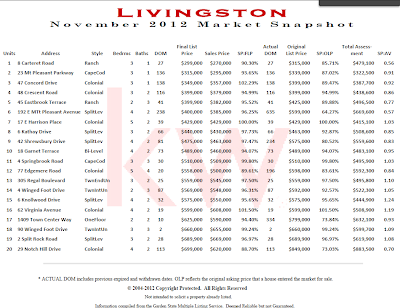 I would love to be your Maplewood/South Orange New Jersey Area Real Estate Professional! I assist both buyers and sellers in the Bedroom Communities of New York City, mostly served by NJ Transit’s Mid-Town Direct Train Lines, offering commutes of 45minute or less to NY Penn Station, with either the purchase and or sale of residential real estate. 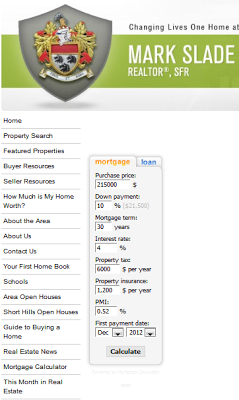 Dan Green(NMLS #227607) is an active loan officer with Waterstone Mortgage. Email Dan at or click to get a free, no-obligation rate quote. Mortgage rates and markets change constantly. 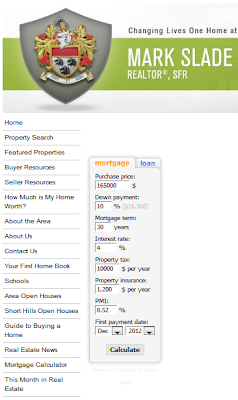 Stay 100% current by taking The Mortgage Reports by email each day. Click here to get free email alerts, or subscribe to the RSS feed in your browser. Home supplies are dropping on first-time buyers and real estate investor demand. 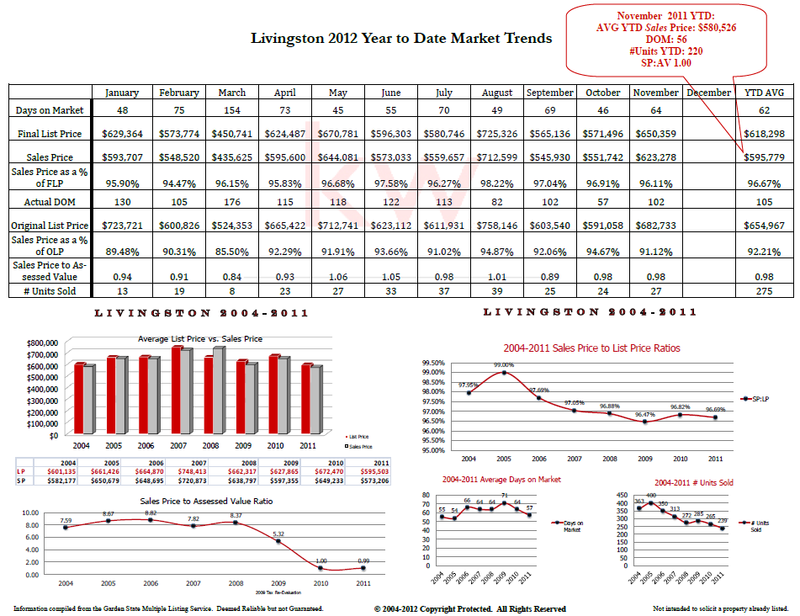 As 2013 approaches, the U.S. housing market carries momentum. Home buyer demand continues to rise as the national supply of homes sinks. As a result, home prices are rising in many U.S. markets, creating urgency among today's buyers to "get something done" before prices rise even more. Multiple-offer situations are becoming more common. 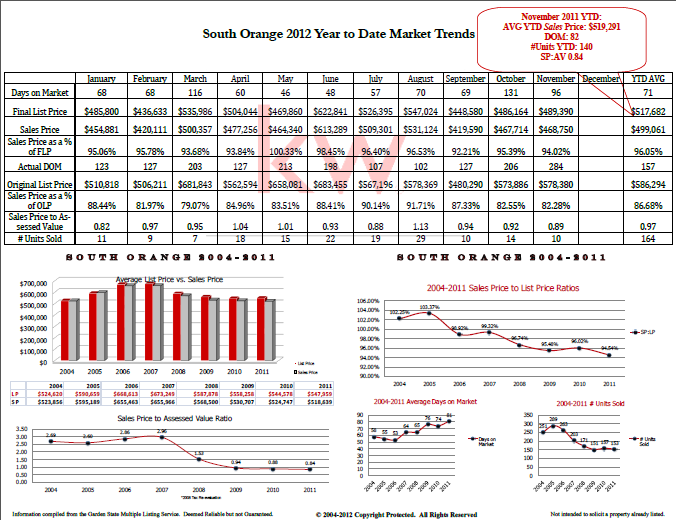 Competition for homes for sale is expected to drive home prices up through 2013 and into 2014, at least. Low mortgage rates, thankfully, are keeping homes affordable. It's no secret that home prices are rising. The Case-Shiller Index, the FHFA Home Price Index and more than a half-dozen other home valuation trackers have all reached the same conclusion -- 2012 was the year of the housing market's recovery. Buoyed by the lowest mortgage rates of a lifetime and relatively cheap housing, the number of home buyers nationwide outnumbered the number of home sellers, driving home supplies into Bull Market territory. Analysts measure housing supply in terms of months. 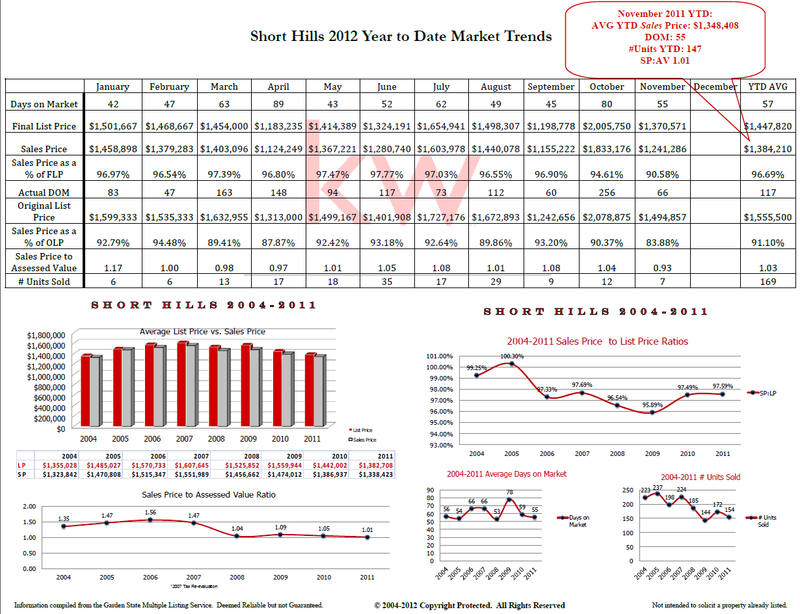 At the current pace of sales, they ask, in how many months would the national stock of homes for sale be 100% sold? A 6.0-month supply is thought to represent a market in balance. Anything less than 6.0 months suggests a "seller's market"; one in which home sellers maintain negotiation leverage over buyers and are less likely to offer concessions including price concessions. The supply of existing homes is currently 5.4 months, down 10 weeks from one year ago. The median home sale price is up 11% in the same period of time. This is the economic principle of Supply and Demand in action. The same effect is present with new home construction. New home supply is now 4.8 months nationwide, down 6 weeks from one year ago. 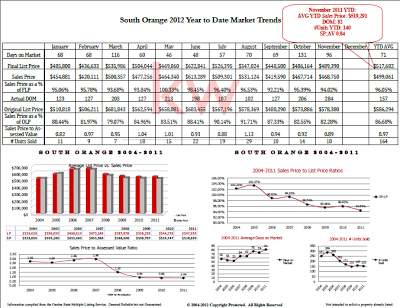 The median new home sale price is up 6% over the same period of time. It's no wonder that the nation's home builders report their highest market confidence in more than 6 years. Demand for homes is high and home supply is shrinking. 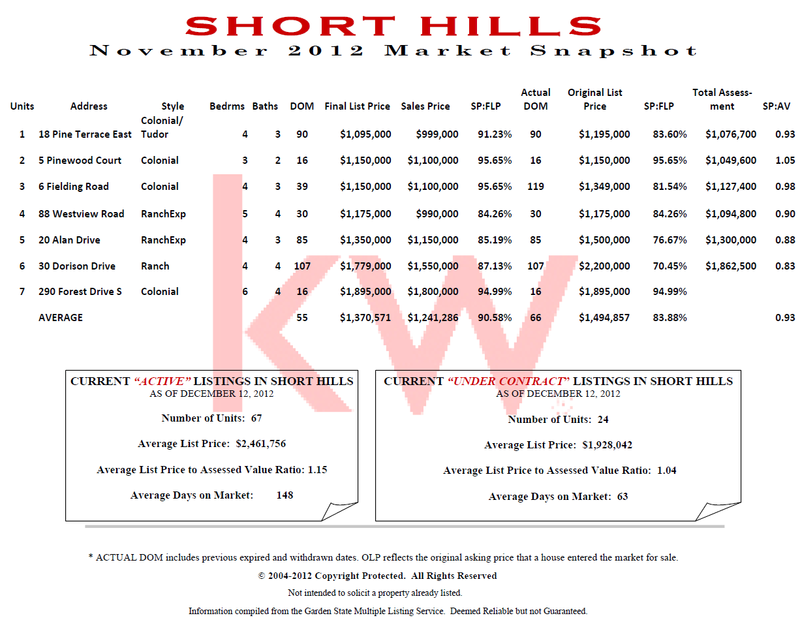 It's pushing home prices higher. The ongoing housing market recovery is interesting in that all classes of home buyers are participating -- first-time buyers, move-up buyers, and real estate investors. For first-time buyers, low mortgage rates have changed the math on "Should I rent or should I buy?" At today's low rates, it can be more cost-effective to pay a mortgage each month than to pay rent for a comparable property. Plus, the availability of low- and no down payment mortgages via the FHA, VA and USDA eliminate the need to make a 20% down payment. 46% of first-time home buyers used FHA financing in 2012. Move-up buyers -- which account for roughly half of all home buyers -- are also driving demand. Since the housing market downturn, many were left without means to purchase a new home, either because mortgage financing was unavailable, or because there was no buyer for their current home. When first-time buyers and other move-up buyers buy existing homes, though, it frees up the former homeowners to "move" somewhere else; and the cycle continues. Move-up buyers are among the major reasons why jumbo homes are selling so briskly as compared to recent years -- it's the trickle-up effect of housing. However, it's the effect of real estate investors that's driven home prices higher. Buying homes in bulk and locking up rental properties for the long-haul, seasoned real estate investors account for nearly 1 in 4 homes sold nationwide as 2013 begins. Some real estate investors are use the 5-10 Properties Program to finance homes; others pay cash. In both cases, though, investors stoke demand for homes at all price points, which further weights the market toward sellers, leading prices higher. But what makes investors different from first-time buyers or move-ups is that "buying homes" is not about relocating for a job; or outgrowing a home after having a baby. For investors, buying homes is about math and money. 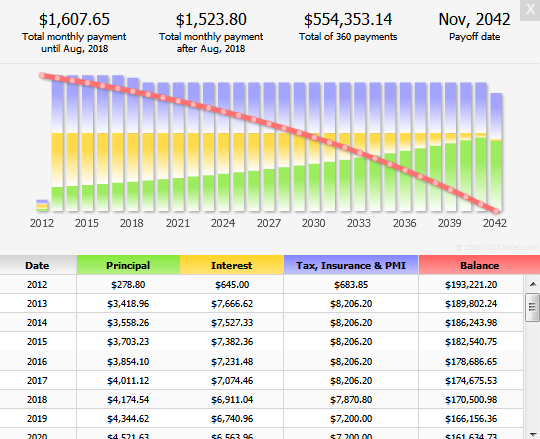 Today, the math of real estate investing is hot. By 2015, however, it may not be. Once demand from real estate investors starts to slip, it may slow the growth of U.S. home prices. Several years ago, U.S. homes languished on the market for months -- sometimes years. In 2012, though, with more than 4.6 million people back to work since 2010, historically-low mortgage rates, and the continued availability of low- and no down payment mortgages, homes sold quickly. 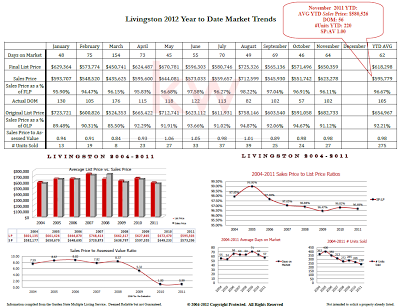 Competition for homes should remain equally fierce in 2013. 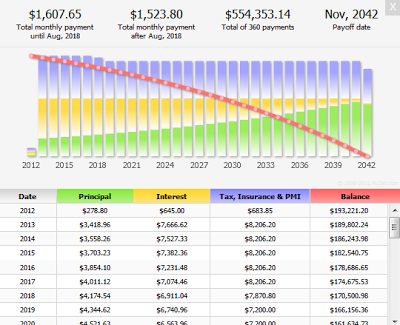 If you're planning to buy a home, expect to pay more for it. An improving economy has lifted home prices higher.